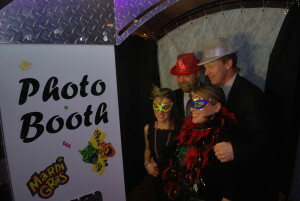 Our new Photo Booth experience…it’s the hottest new trend in party entertainment, and we have it! Want to get more than 2 people in the Photo Booth. Try our deluxe Photo Booth. It has all the same features as all our other booths but without a bench so you can get up to 4 to 5 people in the booth at once. This Photo booth is more portable to get in smaller spaces and takes up less space in your reception hall.